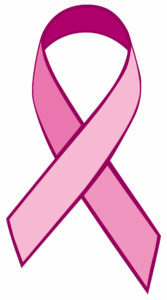 Two weeks ago one of my CrossFitters from Wolf River and (a very dear friend) was diagnosed with breast cancer. She went in for a routine mammogram, a lump was discovered, testing was done and cancer was also found in her lymph nodes. Simultaneously, she is dealing with a lumbar disc issue. She is in a lot of pain and needs surgery to repair it, however, that will have to wait, because cancer doesn’t. As I write this, she is having her first chemo treatment. My friend has gone through a plethora of emotions, as one can imagine. She lost a sister to lung cancer years ago so that alone is enough to make fear her primary emotion. While fear is there, it has not dictated her attitude. Last Sunday, she had a party. A gathering of her close friends to hang out, laugh and have a good time. It was not a somber time. It was a celebration of strength. A celebration of “let’s do this”. We are faced with so much adversity in our lives. Challenging medical diagnosis, job loss, divorce, deaths of friends or relatives….it’s all part of living. Like it or not, we are also getting older. These things we can’t always control, however, we do get to choose how we deal with each of them. I’m not suggesting that we wake up every day paint on a happy face, ignore our pain or ignore our feelings. We must face the situation, feel the feels but then choose to continue living and choose not to stay in the hole life created. Choose joy. I know, its way easier said than done. Sometimes we have to fake it until we make it…..but we will make it. Choose positivity and pray for my friend.